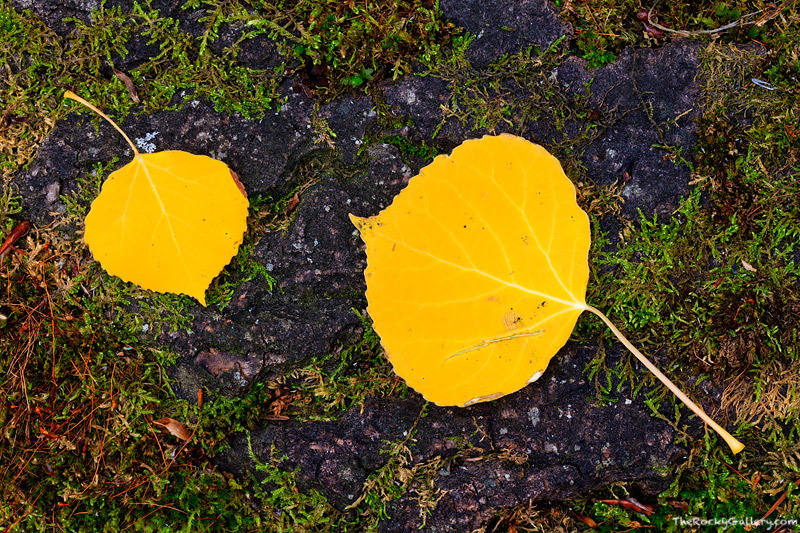 Two golden aspen leaves rest on the bole of a fallen aspen tree in Rocky Mountain National Park. I photographed these two autumn aspen leaves along the banks of Boulder Brook. The contrasting colors of the darkened aspen bole and yellow fall aspen leaves were beautiful. Moss and grasses have begun to grow out of the aspen trunk now resting on the forest floor of Rocky Mountain National Park. Photo © copyright by Thomas Mangan.